The other day I got an email from the fine literary folks over at Laurence King Publishing. Turns out they either think my film reviews are quite good or that I need some help with them - as they asked me to read one of their new books Film: A Critical Introduction, 3rd edition by Maria Pramaggiore and Tom Wallis. I did get excited as it’s a book that - covers films and goes behind the scenes to deconstruct cinema via intelligent conversation. Something that is in unfortunate decline - with the rise of front room conversation critics and a shift from technique to celebrity culture. As this is the third edition and only going to be released next month it not only an in-depth exploration of film as a concept in context referencing 100s of films, filmmakers and techniques, terminology, film production, critical thinking and writing - it also covers topical conversations such as; Avatar, Genre hybridity, Inglourious Basterds, Intertexuality, Knocked Up, Bromance Ideology, Mumblecore, Digital Technologies & 3D. “The book illustrates basic film concepts in context and in depth. It addresses techniques and terminology used in film production and criticism, emphasizing thinking and writing critically and effectively. Organized in three parts, the text focuses on the fundamentals of film analysis before moving on to more complex topics. Parts I and II teach students to recognize how the components of film—narrative, mise en scène, cinematography, editing and sound— work together to produce meaning within an individual film text. 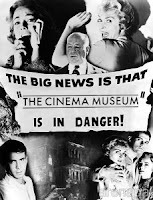 Part III introduces readers to interpretive frameworks that treat cinema as a cultural institution. This section encourages readers to move beyond textual analysis and consider the relationship between film and culture. 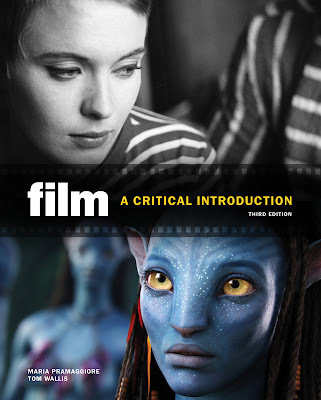 My review of Film: A Critical Introduction, 3rd edition will be up once I have read it but as soon as I got my head around the book and understood a little bit more about the depth and breadth of knowledge it imparts. Not only did I realise that it would help my own writing but wanted to share it with others. 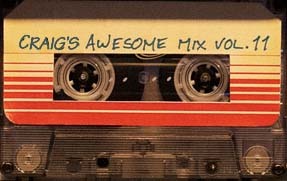 So Laurence King has been kind enough to offer a copy up as a competition prize. Anyone who reads my blog regularly knows that although free stuff (competitions and prizes) bring “readers” in droves theestablishingshot is about the love of film, knowledge sharing and insight not cheap reader harvesting tactics to ensure a whole lot of people not really interested in my content come to my site for free stuff – so you know that if I am offering this chance to win a copy of this book I really think it’s worth it. All you have to do to win a copy of Film: A Critical Introduction, 3rd edition is send me your review of a film. It can be any film you have seen. The winning review will be the one that conveys your thoughts on film in a way that I get the gist (the point or substance of an argument, speech, etc.) of the film. Spelling and grammar are not criteria. Send your entries to estfreestuff@gmail.com or if you wish to spam your friends tweet me a review @The_EST by March 14, 2011. If you win you'll be getting your copy of Film: A Critical Introduction, 3rd edition before it hits the shelfs. Although I am often compelled to write a 1 word review of a film, but your review has to be more than 70 words (and as long as you would like). It has to been your own work, it could have previously been submitted for on or off-line publication. You have to live within the UK (sorry), but you can enter as many times as you would like under as many pseudonyms as you would like. Blah, blah, blah do the right thing. Judges decisions are final. Maria Pramaggiore & Tom Wallis.